All I can say was how lucky I was to be able to dedicate the whole week to helping the project out. It was one of the best structured app camps I had been able to be involved in and was not only all female for the attendees but also for all of the mentors and speakers. The effect of having an all female week was definitely seen, the age group we had was 12 to 14 and being able to present a wide range of women all doing different roles and from different backgrounds was fantastic. The week was run by introducing the girls to just how do we come up with concepts and turn them into an app. There was talks on UI design, objective C code, brain storming ideas, creating teams, creating a brand, working in a team and presentation skills. It was by far a full packed week for both the girls and the mentors. The camp ran for a whole week during the day and was run during the American Summer Holiday time. At the end of the week the girls had designed and developed their app and presented it to a panel of all female leaders in the tech space who represented VC funders. I was very proud of my team who had a completed app and a presentation that saw the involvement of all team members at each step. 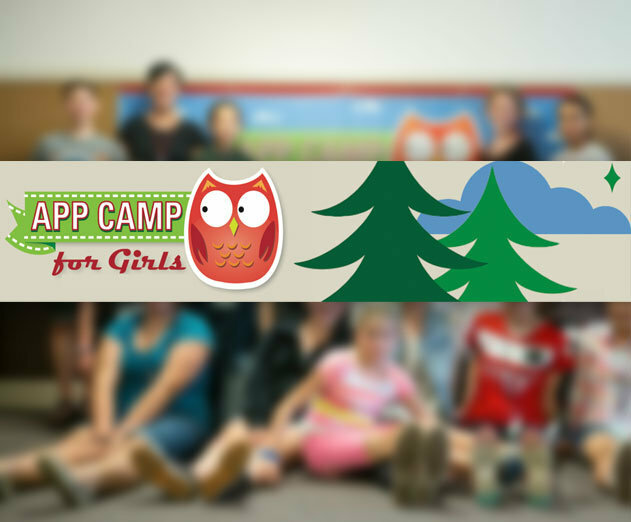 Thanks App Camp for Girls, I would recommended anyone in America to look into it for their daughter and it is a format that I would love to see replicated across the world. Here is to the team from App Camp for Girls and to seeing them continue to spread what is one of the most empowering weeks I have seen for not just the attendees but also the mentors. The text on this website is licensed under a Creative Commons Attribution-NonCommercial-ShareAlike 3.0 Australia license works referenced herein may be separately licensed.